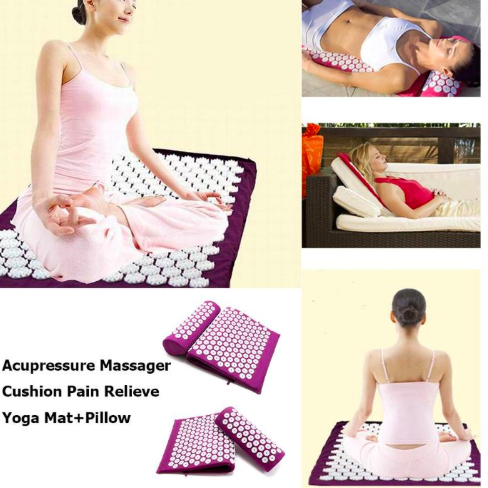 This mat and pillow set has Acupressure Massage function relieving body pain. 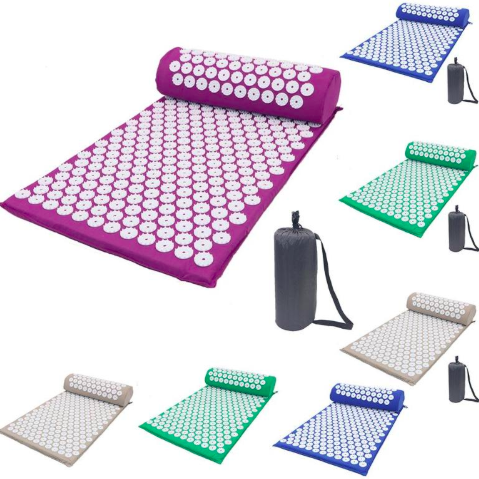 It relieves stress, aches, pains and muscle tension and neck pain relieve, also increasing blood circulation. You can also use it to practice exercises like Yoga. Product size: mat: 660mm * 420mm * 20mm/26.0 * 16.5 * 0.79"
pillow: 400mm * 150mm * 100mmm/15.7 * 5.91* 3.94"